Whether or not the question is asked in the right place, unfortunately, I don't understand the question. 1 - The end facade can be made by drawing a wall and splitting it it in 4 sections. Two sections slope up, two sections slope down. 2 - The roof can be made by drawing a wall in 6 parts, as explained in this tutorial (chapter 3). 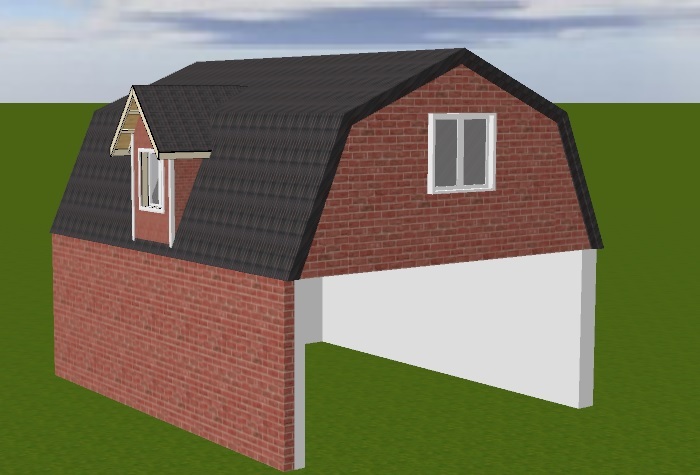 You than export and import the walls, and rotate the object to give it the correct orientation to function as a roof.